Top photo shows the eyebrow immediately after - you can see the redness&irritation. Below is this evening. 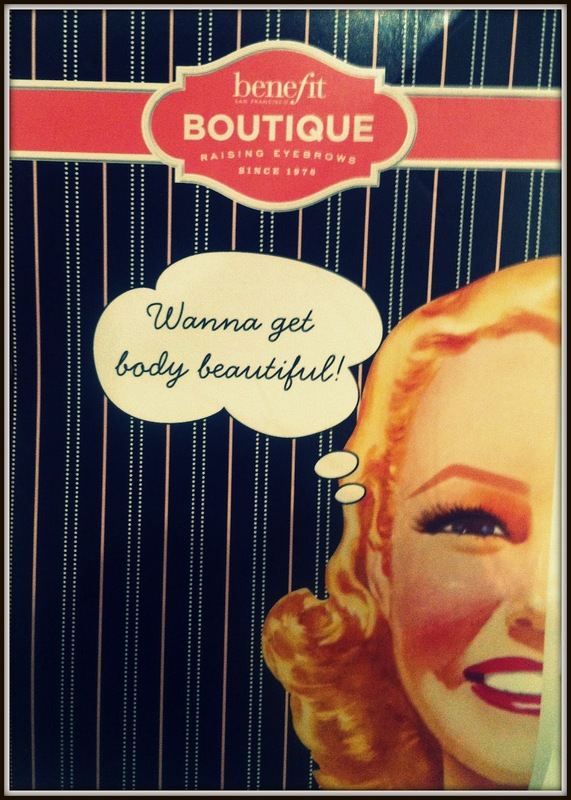 I popped into the Benefit Boutique in Fourbes Place which is the flagship Benefit store. It's a beautiful little shop/salon and is literally overflowing with every single Benefit goodie you could possibly imagine! As you walk in you are greeted with a huge white table packed with products for you to test and have a play with and to the left is another table lined with chairs as well as make up brushes, makeup removers, cotton buds etc where you can have a quick 'make upper' or a proper make over from one of the 'BeneBabes!'. As you delve further into the depths of this Benefit Bonanza you see four brow stations for facial waxing, brow shaping and lash tinting and downstairs is a treatment room with a fully licensed therapist offering full body and bikini waxing as well as Fake Ban spray tans! I really liked the fact that there were lots of staff who all said an incredibly cheery 'Hi!' (They actually all said 'Hi - OHMYGOD that looks AMAZING' because I was eating a froyo with strawberries and oreos YUMMY) and made friendly conversation about how goshdarn HOT it was etc - but there was no hard sell or pushiness. I asked for a brow tint and wax and was led over to a seat at the brow bar where I signed a form (you have to either have a patch test 24 hours before or sign a disclaimer). 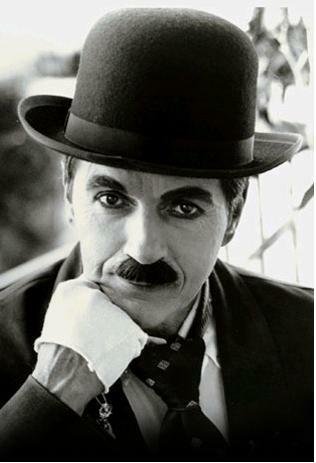 We discussed how I like my eyebrows to be super dark so she used a mixture of dark brown and black - there are a huge range of shades which can all me mixed together to create the perfect shade for your brows so don't worry you wont automatically come out looking like Charlie Chaplin! The BrowBeneBabe [BBB] then places vaseline around your eyebrow so that the dye doesn't stain your skin and applies the dye. The dye is removed after a few minutes and you can have a look at your brows in the mirror. Once they have been tinted the BBB discusses exactly what you want from the eyebrow wax - the speciality is the Brow Arch whereby they create more of a defined, shaped 'arched' eyebrow - and I opted for this as well as a general tidy up (get rid of the old monobrow). The BBB uses small waxing strips to intricately shape the eyebrows and remove any unwanted hairs. You will be asked if you want the underneath and above eyebrow area waxed (I said yes) but it's entirely your decision. Once the waxing is finished tweezers are used to create a perfect look and remove the teeniest of hairs. 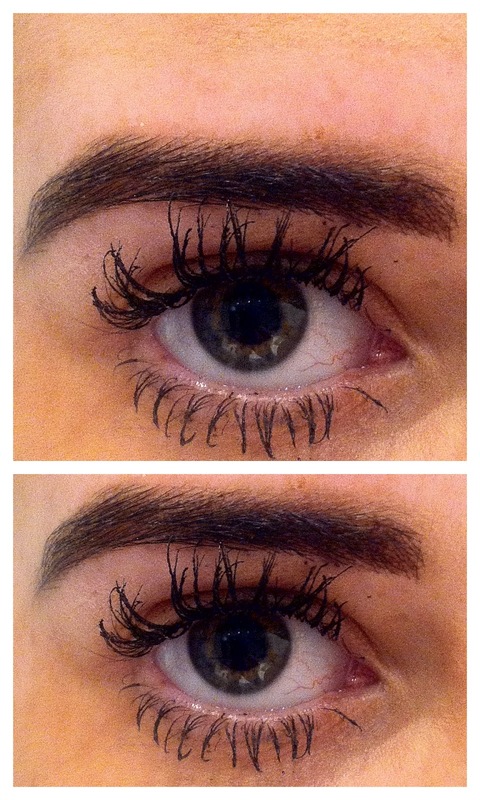 My BBB then used scissors to give a really defined, strong look to the brow - which I LOVE! The BBB explained to me that my left eyebrow has been overplucked so she didn't want to tweeze the few sparse hairs but suggested I use a pencil to cover it up for now as I allow the eyebrow to grow back to how it should be. I like the fact she took the time to actually point out what I need to do as opposed to just plucking away and I agreed that made sense. You get the chance to constantly look in the mirror to let the BBB know if you're happy/not happy/too-charlie-chaplin-y and once you're satisfied any excess tint is removed from around the eyebrow area and a cooling gel is applied. You are then asked if you'd like some concealer because, as the pictures above illustrate, you are left with pretty funny looking white and red marks around your eyes! The whole shebang cost £19.50 and I think gives exactly the same effect as HD brows. I really dislike threading as it's incredibly painful and when I have had it done my eyebrows have been far too thin. The Benefit Brow Boutique uses tinting, tweezing, waxing and scissors to create a perfectly shaped brow for half the price of HD brows. 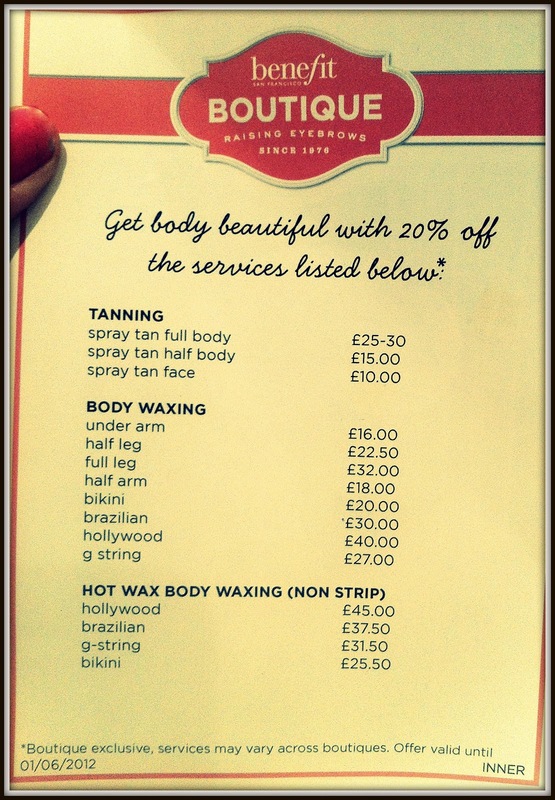 I've booked myself in for a full benefit makeover and hot brazilian wax so I shall be reviewing those for you soon along with more photos of the gorgeous boutique itself. If you do pop in to the flagship store they are offering 20% off lots of beauty treatments. Click here to find out more about the Benefit Boutiques and Brow Bars and to find your nearest one!